The season 4 Blu-ray disc set for TNG isn’t even out yet (scheduled for July 30th) yet CBS Home Entertainment is already promoting the shows 5th season! They have released the cover and a promotional trailer for what is probably the shows best season. Season 5 is of course famous for its Picard oriented episode ‘The Inner Light’ which I previously mistakenly attributed to season 4. My personal favorite is the two-part arc ‘Unification’ guest-starring Leonard Nimoy as Spock and Denise Crosby as Sela. Other notable episodes are ‘Darmok’, ‘Ensign Ro’ and ‘The Next Phase’. The latter two episodes will of course feature Michelle Forbes (Battlestar Galactica) as the Bajoran ensign Ro Laren. If CBS stays true to a 3 month release cycle we should get season 5 either late October or November. 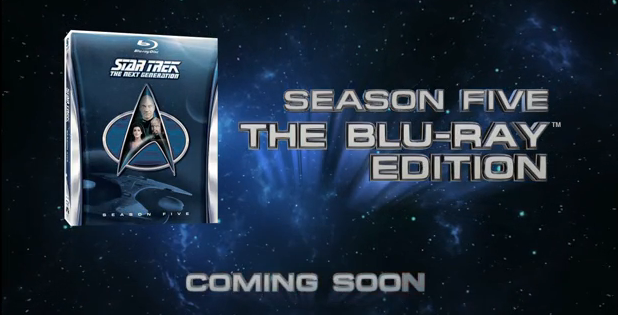 The second season of Enterprise on Blu-ray is scheduled for late August. So stay tuned to www.scifiempire.net for more information and the inevitable reviews! 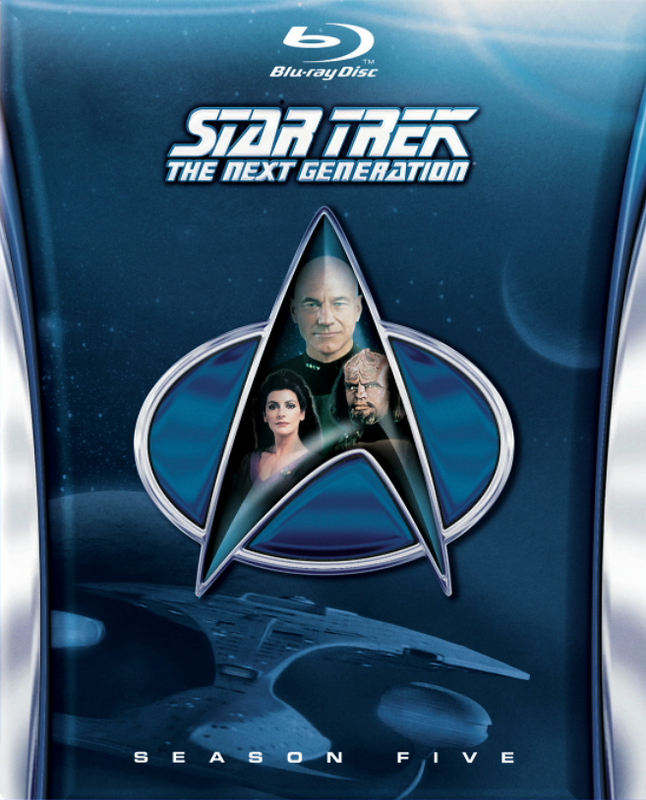 Star Trek: The Next Generation Blu-ray sampler disk Review! Starfleet Academy The Gemini Agent review! Next story SciFiEmpire.net celebrates it’s 2nd anniversary! Previous story Snowpiercer international trailer revealed!